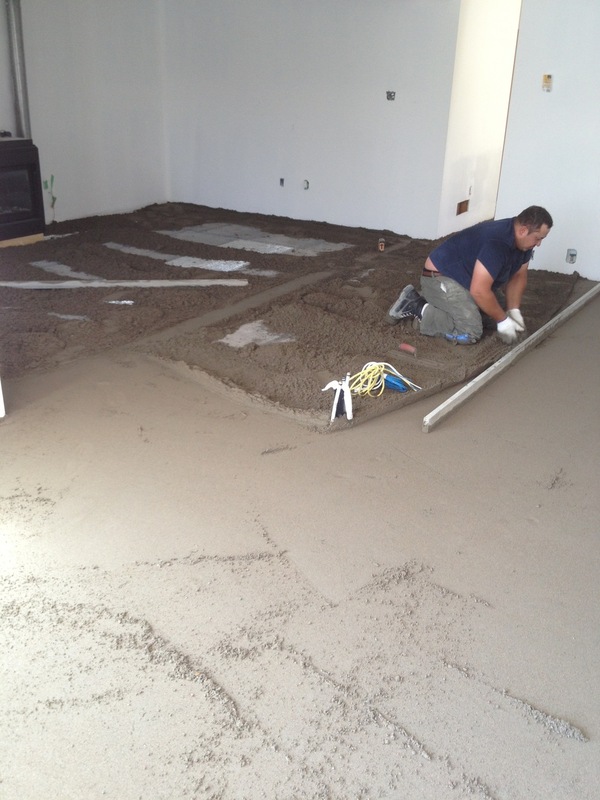 Book your drypack floor leveling today! 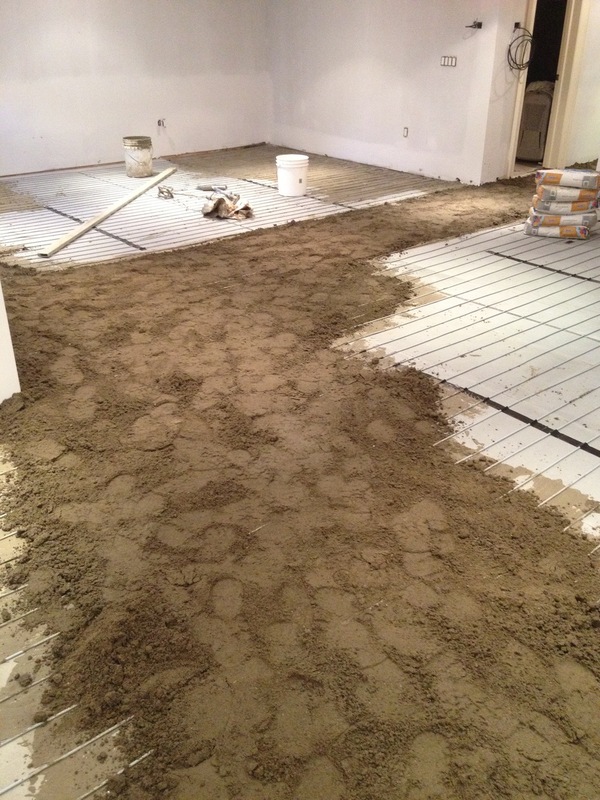 Leveling your floors with drypack is the smart choice! 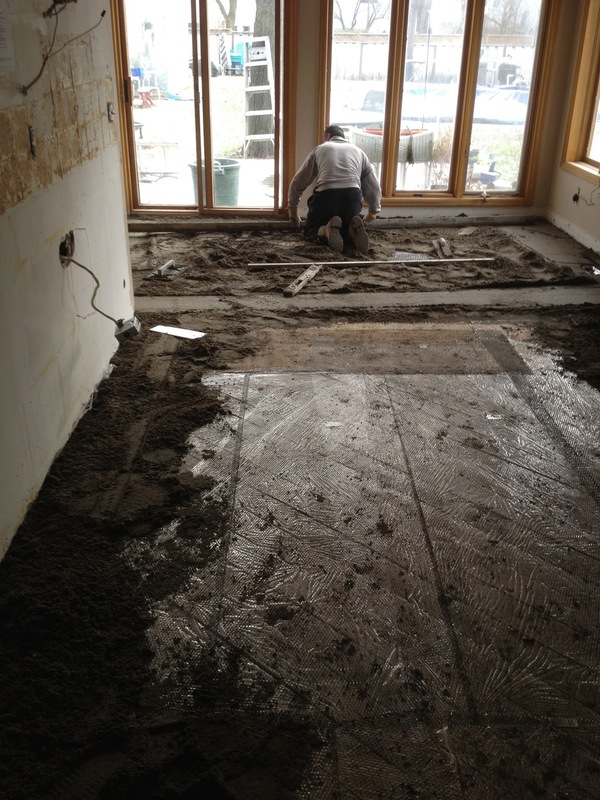 When it come to floor leveling, you should know your tile installation will only be as good as your subfloor. 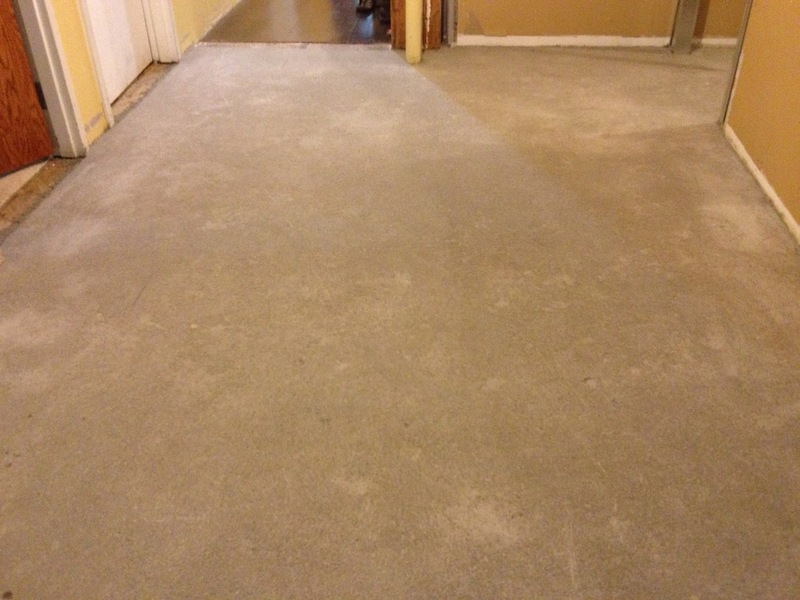 This is an inspection step we take very seriously since it has a direct effect on the final outcome of our installation and the lifelong stability of your tiled floors. 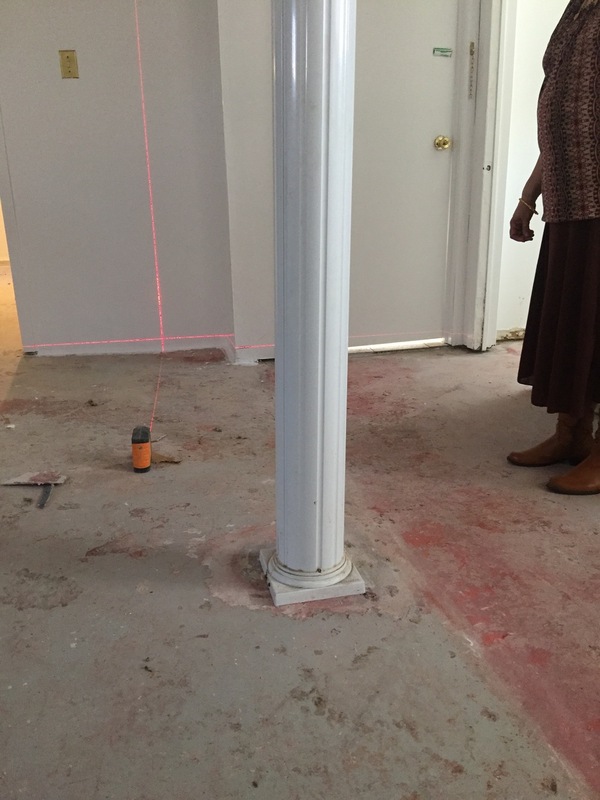 It also allows you to level your floor with other floors in the same area such as your hardwood transition or a door threshold. 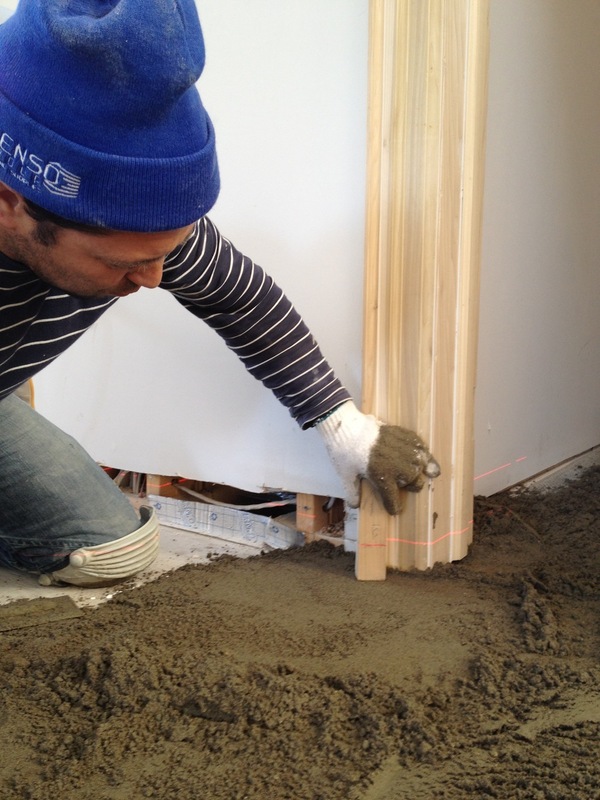 Dry Pack is our #1 secret on our Top 5 Tiling Secret List. For the past decade, we noticed designers and homeowners are using larger and larger tiles. 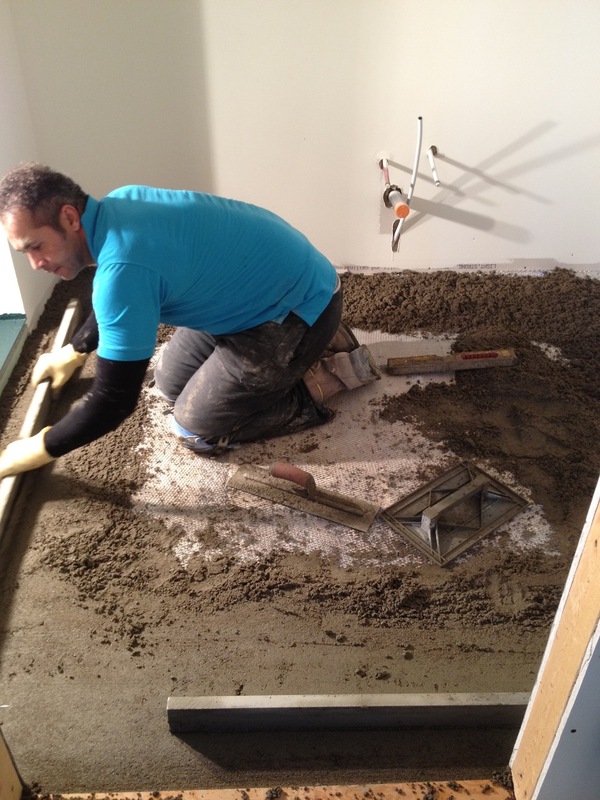 The new trend makes it very difficult to install 12"x24", 24"x24" or even larger tiles on the slightest uneven surface. 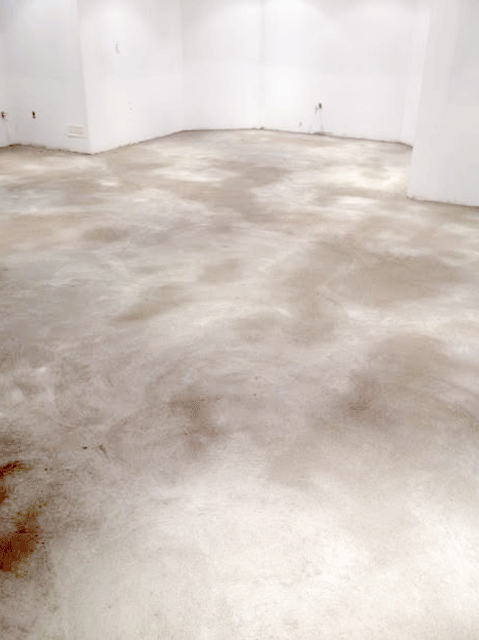 This is where the dry pack shines! 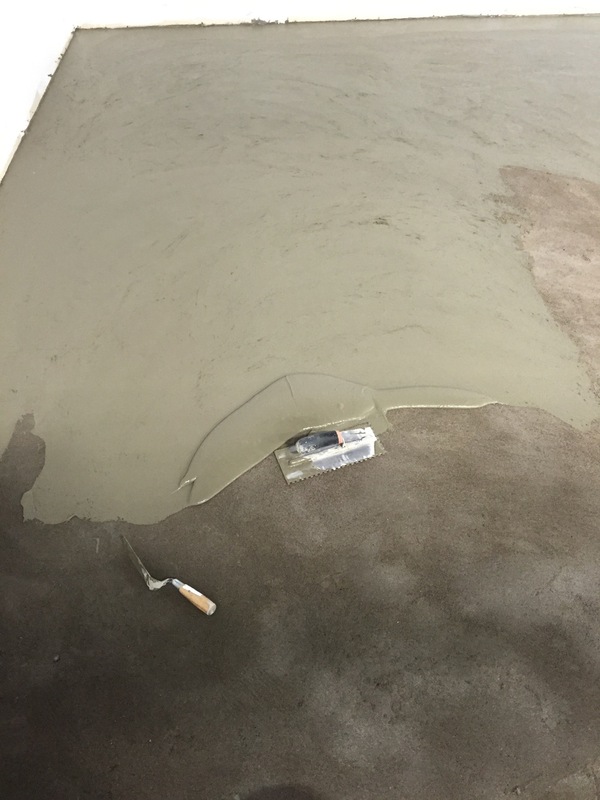 The drypack bed can be from 1/4" to 3" thick to level the floor if we need to. 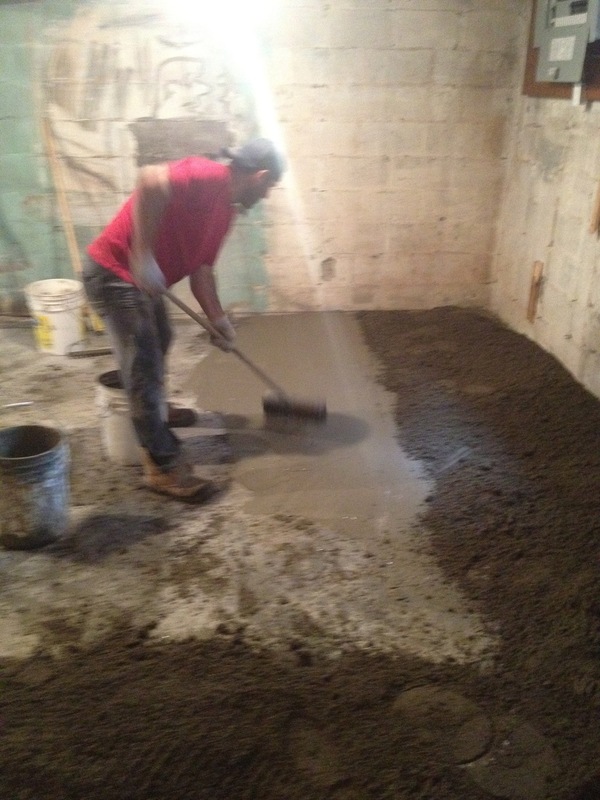 For basement concrete floors we recommend 2" thickness. 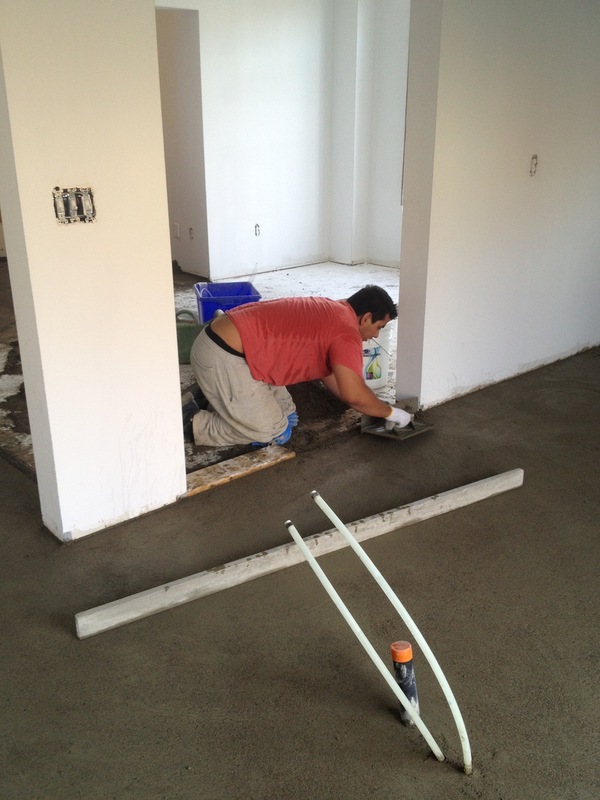 Prestige Tile Installers almost always uses a dry pack concrete mix where it is required. 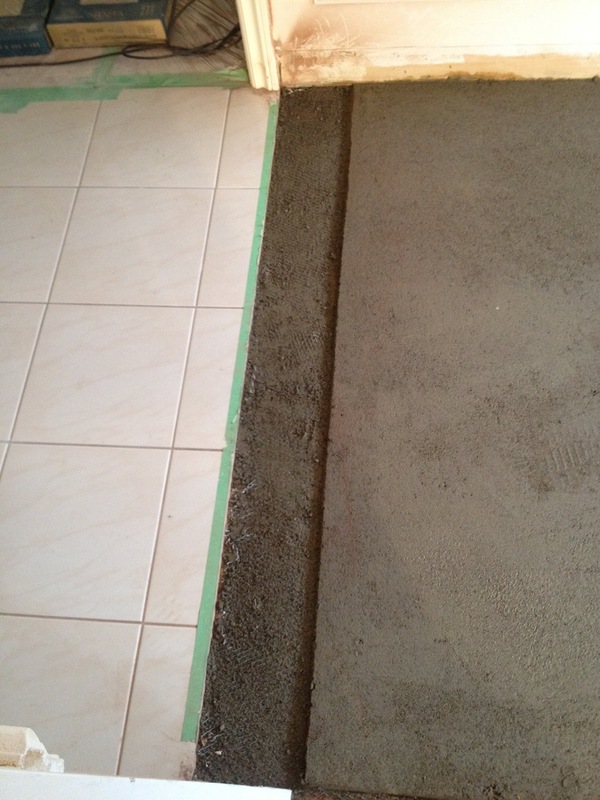 It was always the most reliable tile floor base for leveling. There were other mixes and materials that were introduced over the years to replace a dry pack mix however they were proven to be mediocre at best and faded away from the market. 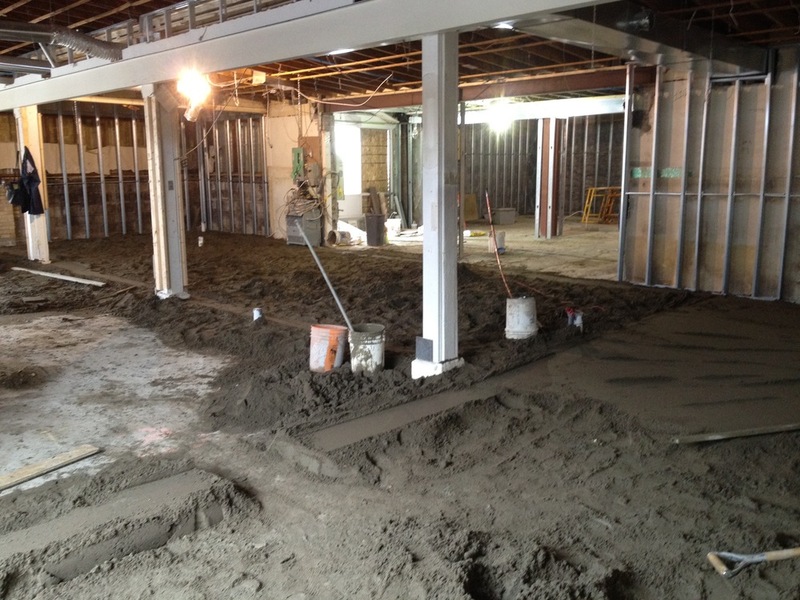 All commercial, industrial and high rise buildings use a dry pack mix. It has an amazing track record! 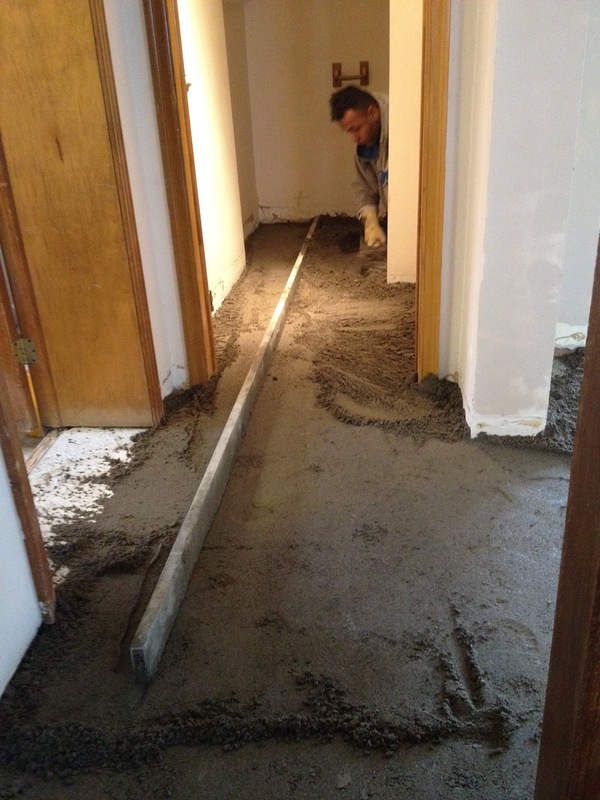 Dry pack is costly than the self-leveling liquid cement. 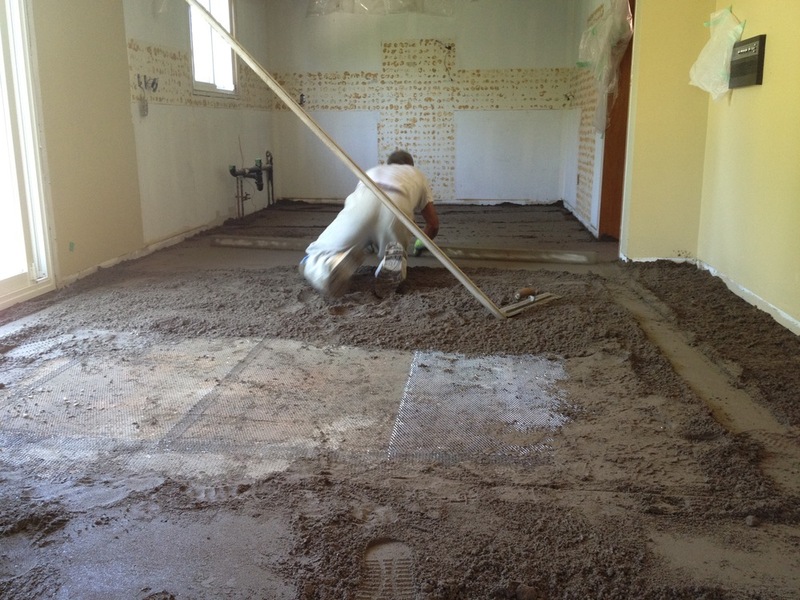 Dry pack is cost effective, quick and very reliable. 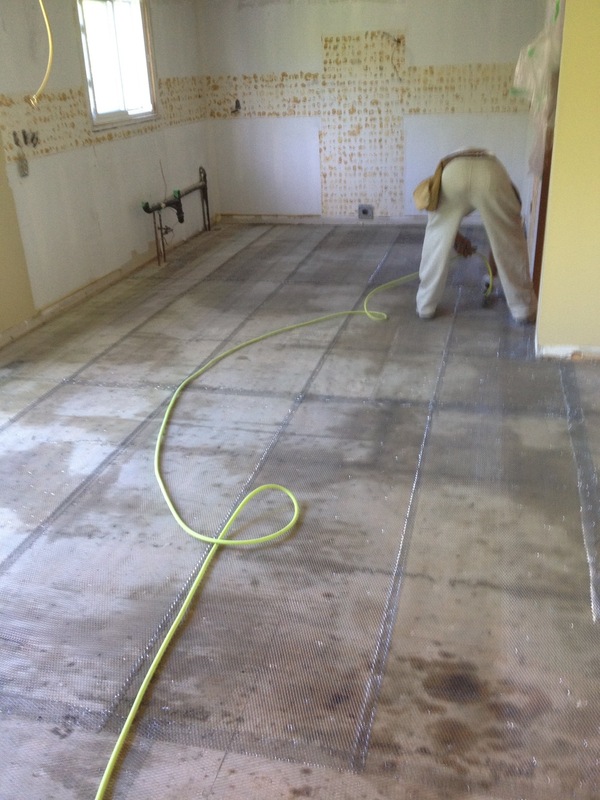 When you factor the cost of labour and material to double or replace your existing uneven subfloor (that will still need to settle), you will quickly realize how simple and affordable of a solution is the dry pack. 1. 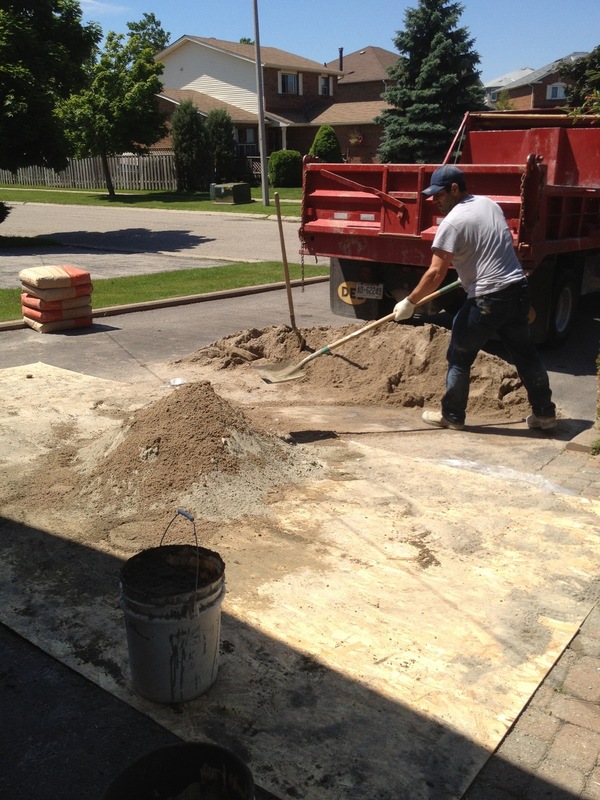 Upon arrival, a team will begin the dry pack mix outside your property. 2. 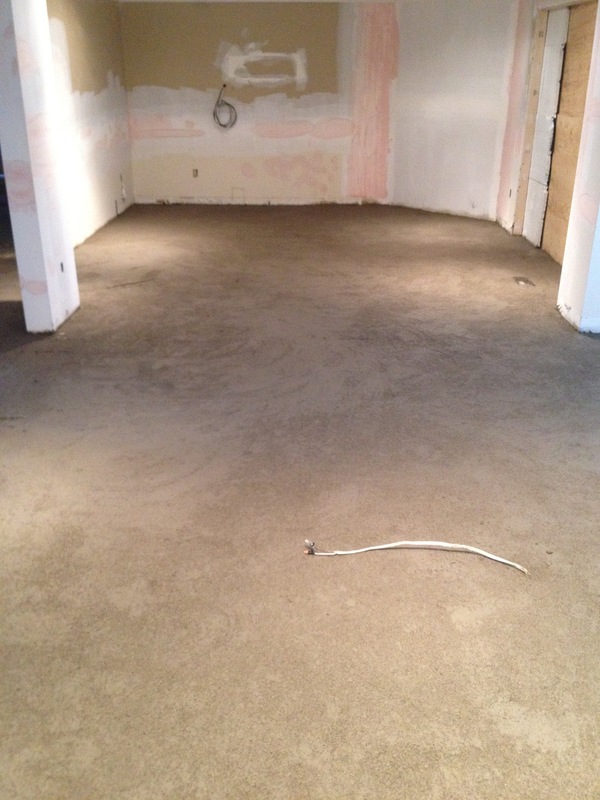 Another team will layout and staple the mesh to the floor. 3. The buckets of ready drypack mix get spread over the mesh. 4. 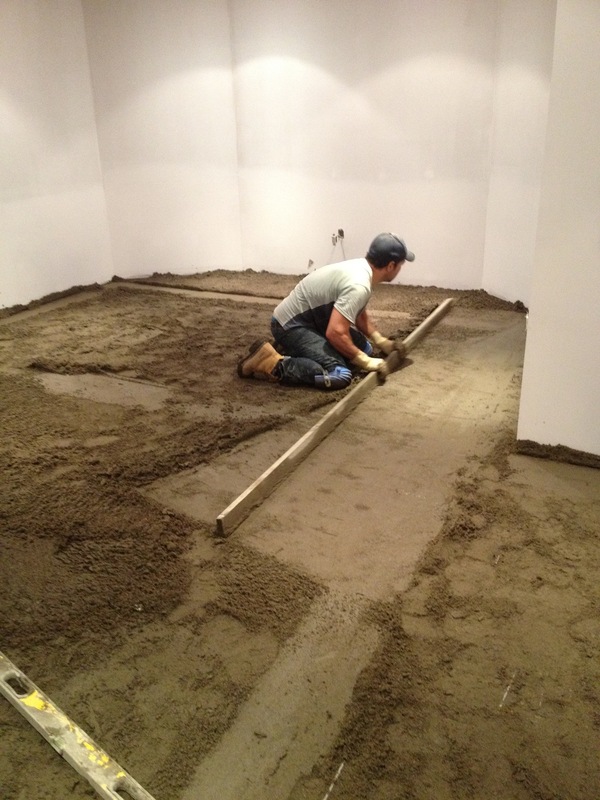 Our crew will use a series of long, straight aluminum edge bars to level the dry pack evenly. 5. The drypack dries within a few hours. What is a Dry Pack mix? 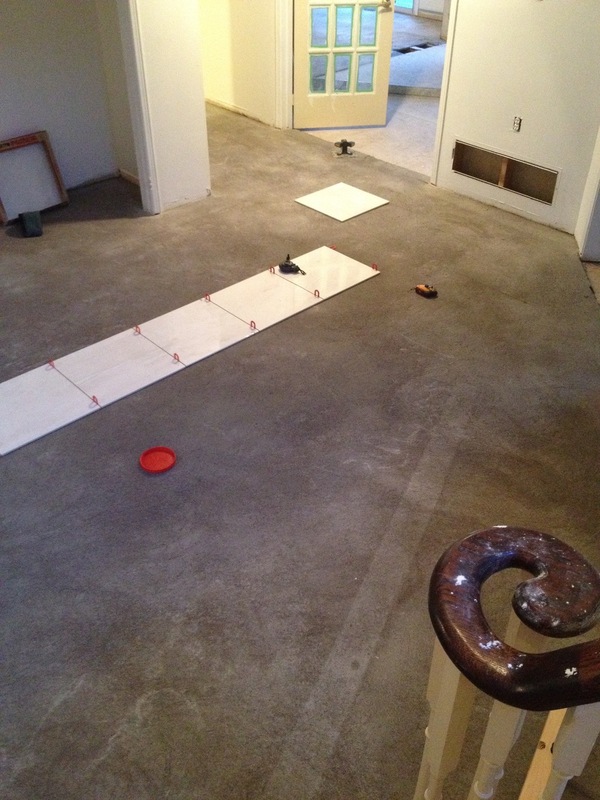 The Ditra underlayment by Schluter Systems is another alternative to leveling the floor prior to tile installation. 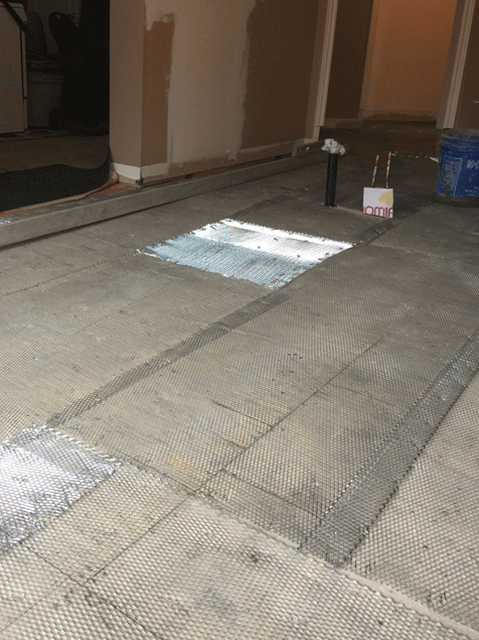 Designed specifically for ceramic tile and dimension stone installations, Schluter-DITRA serves as an uncoupling layer, waterproofing membrane, and vapor management layer that accommodates moisture from beneath the tile covering. Further, DITRA performs all these functions while still providing adequate support/load distribution for the tile covering. One of the biggest concerns with the Ditra System is that it requires an experienced installer for it to be an effective solution. 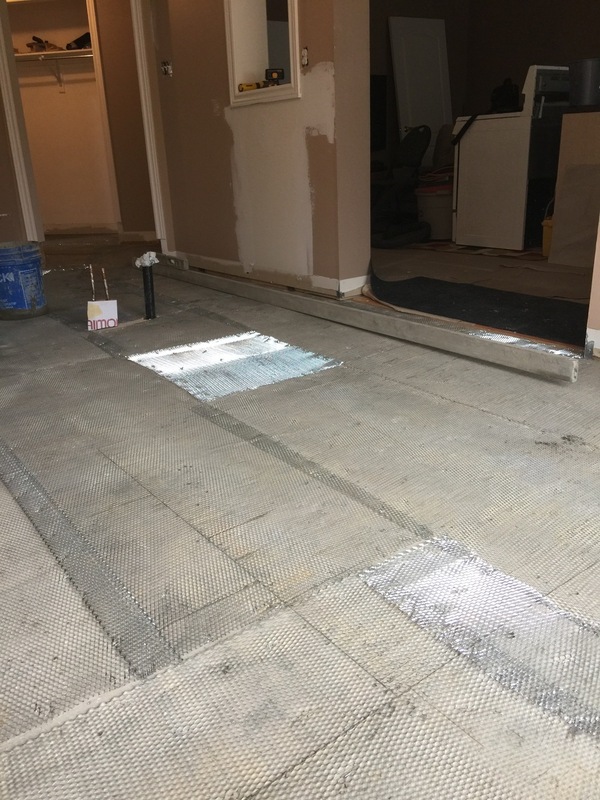 There are several steps and components to the Ditra System and it can be challenging for an inexperienced tile installer. 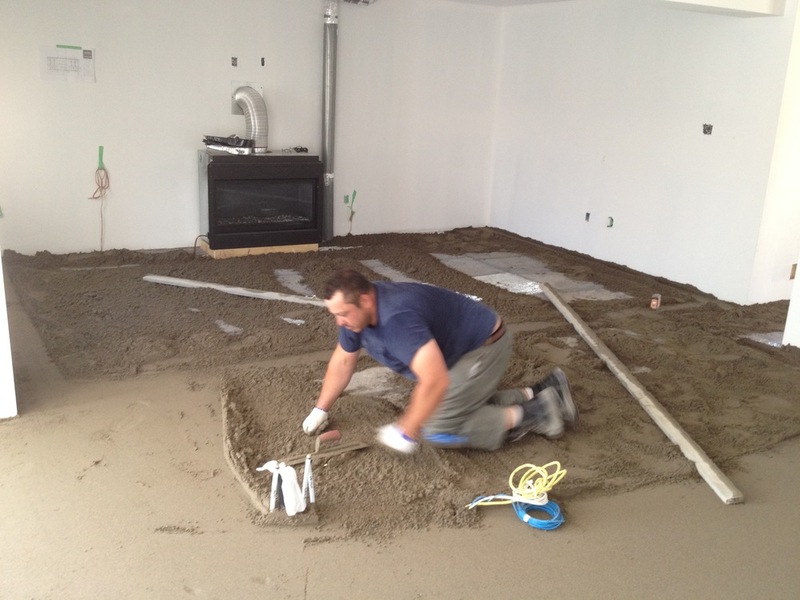 Prestige Tile Installers has over 30 years experience in setting tiles and all of our staff are trained on all Schluter Systems.